The organizers of UltimateGT, a new North American GT racing series, have released the details of the three upcoming competition formats coming in 2016, which include a time attack-style class along with 2-hour and 4-hour endurance racing classes. First of the three formats, the UltimateGT X series, or UGT X, pits competition against the clock to lay down the best time of the weekend. Groups will be determined based on engine displacement, with the field split four baseline categories: up to 2.5L, 2.6L-3.6L, 3.7-5.7L, and 5.8L or higher. UltimateGT 2 will feature a split format of two 1-hour races back to back. Like UGT X, entries will be divided into UGT 2 Groups based on displacement. Points are awarded for finishing position in group per entry, which allow teams different drivers for each race if they choose to do so. 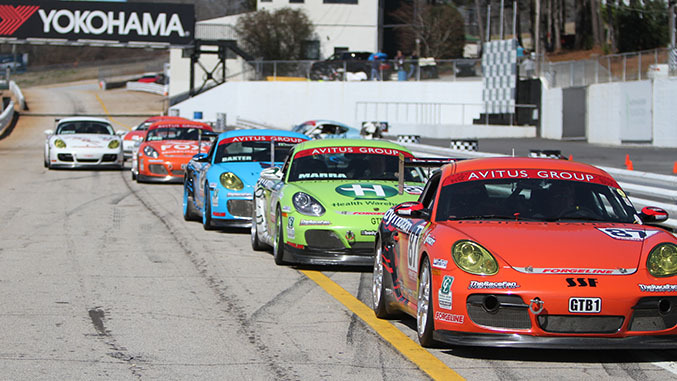 The third format, UltimateGT 4, is a 4-hour endurance race that will see teams racing at various tracks across the U.S. The season will conclude with a 6-hour finale event that teams must qualify for through the regular season rounds. Entries will be allowed up to five drivers, with one driver allowed to be considered "professional". The series announced that groups in UGT 4 will be based on qualifying into four groups, which will allow for teams of all backgrounds (and budgets) to be a part of the competition. “After having to switch gears in late November to become a self-sustaining series, we had to push hard get race dates, finalize partner relationships, and grow the rules to include the GT2 Series and the GTX Series to prove a well-rounded weekend for competitors of all backgrounds,” UGT Series Principal and CEO, Dougie Livingston said. “I’m thankful for the hardworking staff including Chief Operating Officer, Chris Williams, and our Series Directors, Brett Ross and Eric Eisumuller along with the rest of the Technical team for helping to create an open rule-set to encourage any competitor with varying budget and background to race." Competitors and interested teams can see a breakdown of the rules and request a copy of the full rule-set at http://ultimategt.net/competition. The full race schedule is expected to be released in the coming weeks.